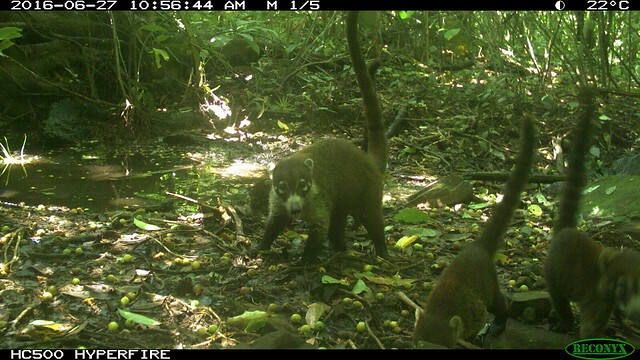 This week, head resident naturalist Martha Cruz compiled the best images made using our camera traps during the month of June. Here are a few examples of the creatures we recorded along the Camino Real trail. The Latin name for the coati, or nasua narica, translates to “nose” and “nostril.” Coatis can be found from Arizona and Texas in the United States to the northwestern tip of South America down to Ecuador. 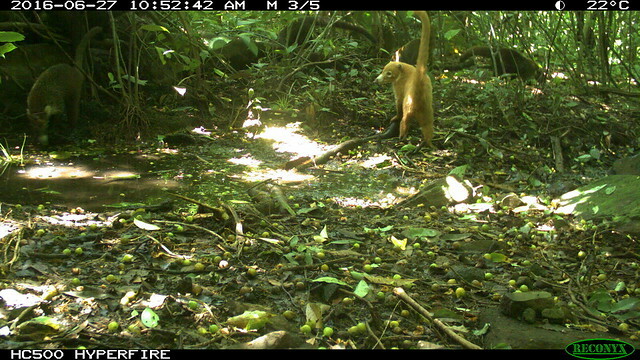 In Costa Rica, coatis are important for dispersing seeds throughout the forest, as females often travel in bands of up to 25 individuals or more. 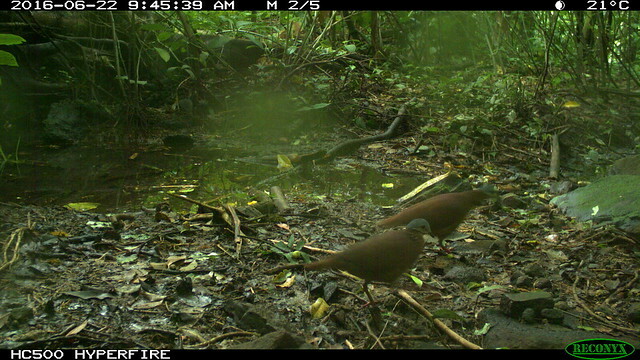 The Chiriqui Quail-Dove can be found from Costa Rica to Panama, typically from middle elevations in Costa Rica to the major mountain ranges of Panama. This species of bird dwells in the understory of the mountain forest as individuals or in pairs. They feed on the ground, taking seeds and fallen fruits. 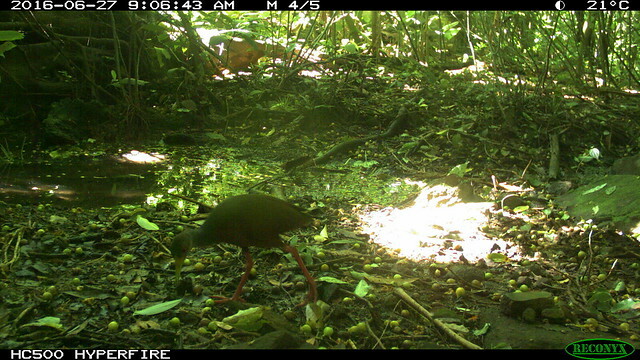 The gray-necked wood rail can be found from Mexico to the north of Argentina. This species is common throughout Costa Rica, from lowland areas to at least 4600 feet (or 1400 meters). These birds forage alone, walking with their short tails pumping. They mostly eat small invertebrates, frogs, seeds, berries and palm fruits. The armadillo is derived from Greek meaning “hairy foot.” While novemcinctus translates to “nine-banded,” the bands in the middle of the carapace varies from seven to ten. 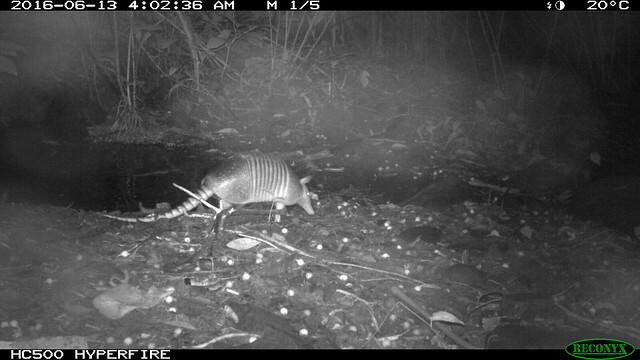 In Costa Rica, nine-banded armadillos most often have eight bands and live on slopes in forested and open habitats. They live from the south-central and southeastern United States to Peru, Argentina and Uruguay. Silva-Caballero Adrian, Montiel-Reyes Fernando, Sánchez-Garibay Eduardo y Ortega Jorge. (2014). Leucism in the white-nosed coati Nasua narica (Mammalia: Carnivora), in Quintana Roo, Mexico. DOI: 10.12933/therya-14- 193. Wainwright Mark. (2007). The Mammals of Costa Rica. A natural history and Field Guide. A Zona Tropical Publication. 454 pp. Stiles Gary, Scutch Alexander. (1989). A Guide to the Birds of Costa Rica. Published by Cornell University Press. 511 pp. True or False: A tarantula can live up to 30 years in the wild. For ophidiophobes, the weeks following Halloween would have brought some real fright. Calling all snake lovers! This week’s wildlife sighting will especially pertain to your sssenses.